20 years before the events of A New Hope, the reign of the Galactic Empire reaches the Outer Rim planet of Jelucan, where aristocratic Thane Kyrell and rural villager Ciena Ree bond over their love of flying. Inspired in their youth by a charismatic Imperial leader, the reality of them both enrolling at the Imperial Academy to become fighter pilots for the glorious Empire is nothing less than a dream come true. However, as they are pulled to two different parts of the empire, their experiences cause one to solidify their Imperial loyalty and the other to join the Rebellion. Now on opposite sides of the war, will these friends turned foes find a way to be together, or will duty tear them—and the galaxy—apart? In Episode IV, Obi-Wan Kenobi describes the light saber as “an elegant weapon… for a more civilized age.” No truer words could describe Claudia Gray’s storytelling in Lost Stars. Her ability to finesse story, pacing and prose to her will in this book is sheer elegance and grace. Gray’s story arch follows its two protagonists from their childhood into their schooling then into service to the empire, using their expanding experiences and connections to showcase multiples sides to the events that happened throughout the current Star Wars movies and beyond. As to the ending, not since Chris Nolan’s Memento or David Fincher’s Fight Club have I found the ending of tale to be quite so unsettling AND yet so perfect at the same time. With that said, it also left me yearning for another book in the series! And since it concludes less than two years past Return of the Jedi, there are at least 28 more years of story I want to know about before Star Wars VII. As such, hopefully Disney will greenlight this as a trilogy! Claudia Gray had the most untenable task ahead of her in this book’s interpersonal and narrative dynamics: turn the Empire into a sympathetic character from the eyes of two impressionable youths and tell their stories amidst the backdrop of episodes 4, 5, & 6, leaving hints at episode 7 along the way, yet without ever losing the human focus of a tale about two star-crossed lovers. The interpersonal dynamics between Thane and Ciena (as well as their friends and coworkers) is where Lost Stars really shines. Intensifying these relationships are the internal dynamics that war within each of them. Internal dynamics are one of the areas most authors have trouble, with a tendency to substitute caricature for character. However, Gray manages to keep each character feeling authentic—making choices that are understandable and real, even when they’re the most heart breaking or will cause the most hurt to everyone. With Gothic intensity, Lost Stars refuses to flinch away from the truth revealed through its story, no matter where that truth shows up. 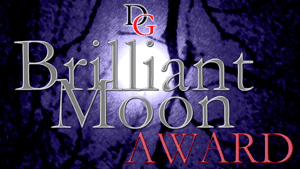 In the process, it deals with some of the darkest concepts of humanity—from slavery to betrayal to racism to wholesale slaughter in amazingly clear and insightful ways, without dumbing down any of the complexities of people. The chilling thing about this book is how reflective it is of our own history, shown through the “fictional” eyes of Star Wars. The Hitler Youth in the late ’30’s were told that they were propelling their nation to a place of dominance and national pride they “deserved” and that the Jews and Gypsies were the traitor races who had crippled their empire. We look back and can’t fathom what could cause people to ever buy so blindly into an ideology. Likewise, when I watched the old Star Wars movies, it was hard to imagine why anyone would ever follow Vader and the Emperor: tyrants who killed on a whim, enslaved races they considered subhuman, and committed genocide to make an example. But Gray shows you just how easy it can be to justify actions for a “greater good” for things you desperately WANT to be true. However, as with everything else in this book, there is a balance. The dark reflection and introspection is present enough to set the stakes and the intensity of the situations, without being so constantly present that they take away the hope that is a hallmark of Star Wars. Disney’s done amazing work with the companies they’ve acquired and it seems they’re continuing this excellence in the case of LucasFilm and Star Wars. With that said, in my opinion, the one misstep Disney’s made in their marketing for the “Journey to Star Wars: The Force Awakens” was not featuring Lost Stars as their flagship novel. Lost Stars is not a really good Star Wars story, nor is it a great Sci-Fi/Fantasy book; instead, it transcends genre to become, simply, a masterpiece. 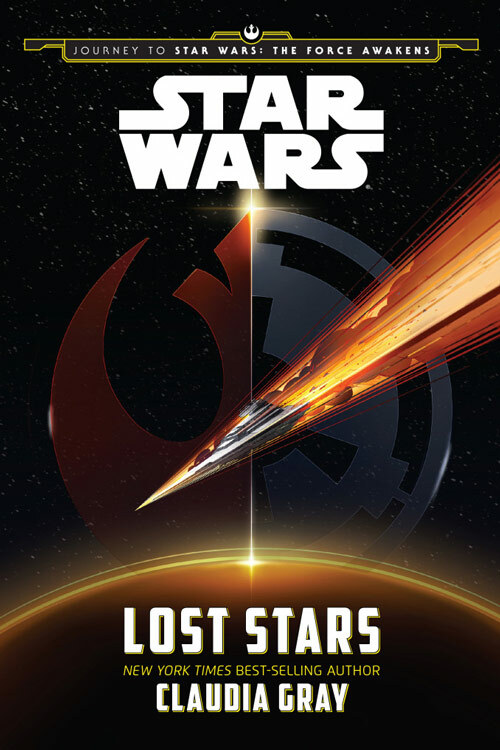 If you only read one Star Wars novel this year, make sure it’s Claudia Gray’s Lost Stars! Cover Image courtesy of LucasFilm Press. Banner image featuring Gugu Mbatha-Raw (courtesy of her movie, In Beyond The Lights). Mbatha-Raw has recently been cast in an upcoming Star Wars film and was also the visual inspiration to author Claudia Gray for the character of Ciena Ree.